Norway’s largest bank DNB will use Nordic API Gateway’s product to offer their customers a full overview of their finances across all banks in DNB’s new mobile banking app. 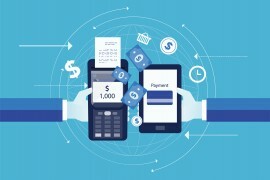 A smart way to initiate payments directly from account to account. “We should definitely take advantage of the opportunities that PSD2 opens up for, and we want to be an actor that helps guide these changes,” says Ingjerd Blekeli Spiten, group executive vice president retail banking at DNB. The fintech is currently assisting major banks such as Danske Bank and Jyske Bank in Denmark and a various number of start-ups, retails and ERP providers. Ad the end of last year, the firm received a €5.2 million investment from DNB and Danske Bank as the northern parties plan to build their PSD2 infrastructure in the Nordics. Soon, the fintech company will also include a smart way to initiate payments directly from account to account. Nordic API Gateway says it is moving fast to onboard new customers and have already many interesting international and local companies in line.